Common sense tells us that bringing people together with a focus on their talent, capability, and performance, not their gender, will achieve the best outcome for any endeavor, including a business. It should be no surprise that study after study shows us the simple, uncomplicated truth of this statement. Companies with a higher percentage of women in key positions have a measurable and significant improvement in financial performance. Why? Because we are more powerful when we work together. Construction holds tremendous opportunities for women yet it remains one of the industries with the lowest percentage of women. Especially now, when the industry is facing a growing shortage in every aspect of the profession, attracting and retaining more qualified women is a business imperative. We know there are barriers to attracting and retaining talented women in the construction professions. How can we improve things? Only by working together can we strengthen our companies and our industry by attracting the best workers, both young women and young men. We invite you to come and discuss your ideas. Join us on February 22nd, when the Construction Institute will celebrate the Women Who Build at our third annual leadership and networking summit. The program will bring together both women and men across sectors in the AEC/O industry who are leading the way on working together. The program is important and valuable for men as well as women and for seasoned as well as young professionals. Our speakers and panelists are industry leaders in business and in technological innovation and leaders in the community. 3. Come to be inspired and to inspire others. The stories of industry leaders, regardless of their gender, are informative and inspiring. 4. Come to expand your network. The program is designed to create interactive networking and to develop leadership skills we all need. 5. Come to declare your commitment to working together. If your company is committed to developing the best leaders for its future, your presence at the Women Who Build Summit is a great way to let people know it. In the words of one of the male leaders who attended last year, the program is “a fantastic window into how women are looking at workplace challenges and opportunities, as well as good professional insight for all...” Steven Haines, director of technical operations for BVH Integrated Services. Come join us. Let’s harness the power of working together. The program is February 22nd on the Goodwin College campus in East Hartford. To register, go to http://construction.org/event/WomenWhoBuild3. 1 You will find summaries of these studies, as well as links to the studies themselves on the online blog of Leading Women. Colantuono, S. (2018). Tracking the Business Case - Research from Around the Globe. Leadingwomen.biz. Retrieved 12 January 2018, from http://www.leadingwomen.biz/blog/tracking-the-business-case-research-from-around-the-globe. 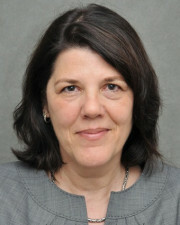 Nancy Greenwald is executive director of The Construction Institute, Hartford, Conn.